Assisted Conversion: Contact our tech support and they will guide you through the process. If a Hyper-V VM has become too heavy for Hyper-V, use BackupChain’s V2P converter and convert the disks of a Hyper-V virtual machine (VHD or VHDX format) to a physical disk or RAID array. The disks can then be booted as physical servers with Windows and other operating systems such as Linux intact. Even multi-boot, GPT, and dynamic disks can be converted to physical that way. Any VMDK file can be copied to a physical disk drive or RAID array, whether it came from VMware ESX, VMware Player or Server, or VMware Workstation. In the case of VMware running on top of Windows you can do the V2P conversion live without interrupting or shutting down the VM. Oracle’s virtual host platform VirtualBox disks in VDI format can be converted live if VirtualBox runs on top of Windows. If it doesn’t you can still do a V2P conversion as long as the VDI file is accessible. BackupChain will copy the VDI contents to a physical disk, whether SSD or RAID array, preserving all data on the VDI. All V2P conversion tasks, as well as P2V, V2P, and disk imaging / disk copying tasks can be either run manually when needed or automatically on schedule, without interfering with the physical host or virtual machine. The process does not require reboots or pausing the virtual machines. BackupChain is also capable to copying virtual disk formats interchangeably (from/to VHD, VMDK, VHDX, and VDI). Live virtual machine conversion and disk copy is available when the host is running Windows (all VM operating systems are supported). By copying the virtual disk format and using our universal boot tool you can migrate V2P any time and move VMs between Hyper-V, VMware, and VirtualBox platforms. As hardware ages it becomes more efficient and practical to convert a physical server to a virtual machine. Such a P2V conversion can be handled with BackupChain’s disk converter, whether it is uses just a regular physical hard disk or a RAID array or SSD disk. P2V conversion and V2P conversions are just one of the many features in BackupChain. 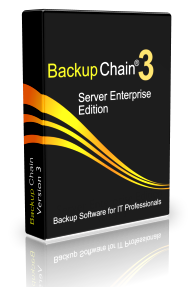 BackupChain also offers hard disk imaging, disk copying and cloning, version backup, SQL backup, Exchange Server backup, Hyper-V guest backup, VMware backups, and cloud server backup among other features. Download the full version now and give it a try! Our tech support team is on call to assist you setting everything up quickly.